Davey Motorsports KTM contender hopeful of Murray Bridge return. 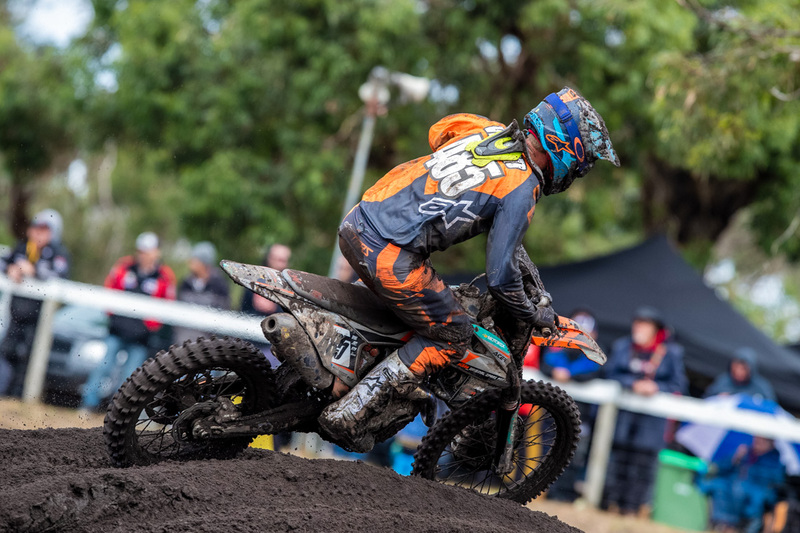 An ongoing hand injury has ultimately forced Caleb Ward to withdraw from this weekend’s third round of the 2019 Pirelli MX Nationals at Broadford in Victoria. 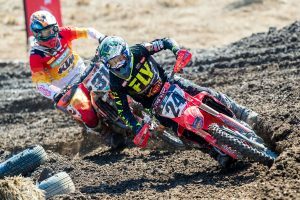 The Davey Motorsports KTM rider initially suffered fractures to the fourth and fifth metacarpal in his left hand near the joint, requiring surgery that prompted a two-month recovery before he could return to off the bike training and riding. While the fractures have healed, Ward has experienced continued pain, hindering his grip on the motorcycle and posing an increased risk to sustaining further injury. “I knew my hand was going to be pretty sore, but I thought I’d tough it out through the first rounds and I was confident it would get better each week,” Ward explained to MotoOnline.com.au. “But since Appin it hasn’t gotten any better, it’s just stayed the same. “I could ride on tracks that are smooth – it didn’t feel too bad – but any tracks that were rough, it would get really sore and worse and worse each time I rode. I’ve spoken to doctors and physios, but there’s not really a whole lot I can do other than resting it and doing as much physio as I can. The Queenslander is hopeful of a return for Murray Bridge’s double-header in the first week of May, which will be followed by a lengthy break in the championship. 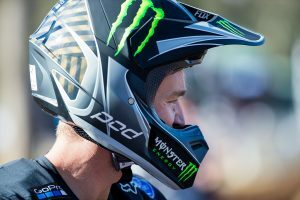 “I really want to be back for Murray Bridge – it’s two rounds and I really like the track and have had success there in the past. My goal is to be back by then, but we’ll just see how my hand goes. It’s been a bitter start to 2019 for Ward, who emerged as one of the top MX1 rookies last season, claiming multiple podiums in the closing rounds of the MX Nationals.